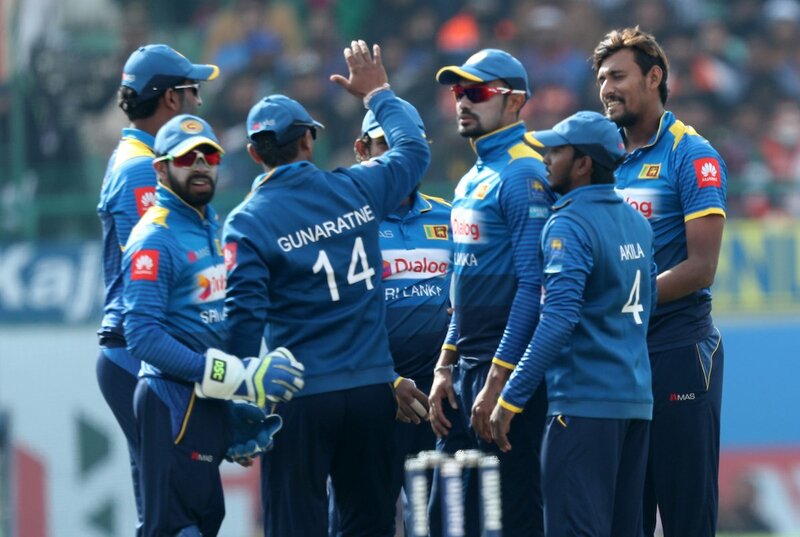 Dharamsala, Dec 11: Sri Lanka captain Thisara Perera heaped praise on his bowlers after their seven-wicket win over India in the first One-Day International (ODI) here on Sunday. After opting to field, Sri Lanka rode on career best figures of 4/13 from pacer Suranga Lakmal to restrict India to a lowly total of 112 runs. Fellow pacer Nuwan Pradeep returned figures of 2/37 while Perera, Angelo Mathews, Akila Dananjaya and Sachith Pathirana also bagged a wicket each. The Sri Lankan batsmen then survived some initial hiccups to chase down the target with a massive 29.2 overs to spare, taking a 1-0 lead in the three-match series. "Firstly we need to give 200 percent credit to our bowlers; they did everything right for us, bowling in the right lines and length. Their discipline was excellent and that was the reason for our success," Perera told the media. "I thought Lakmal did perfectly for us in the Test series and now is carrying it forward in the ODIs. He's the number one fast bowler for us at the moment," he added. The Sri Lankan skipper was surprised at the nature of the wicket at the Himachal Pradesh Cricket Association Stadium here and praised opener Upul Tharanga for spearheading the chase. Tharanga scored 49 runs, smashing 10 boundaries during his 46-ball innings. He also formed a 46-run third wicket stand with Angelo Mathews (25 not out). "This is an unplayable wicket, we did not expect this. We thought around 250-260 but when we were bowling itself we realised that we had to keep them under 220. I have to mention Upul, he gave the best start and he is one of the best openers. Our batsmen have been doing well over the last couple of months but without success," Perera said. "All in all, everything worked for us today."